The Super 8 McLean/Bloomington SW is conveniently located just off I-55, 15 miles south of Bloomington, IL. IL State University, IL Wesleyan University and Lincoln College are all located within a 15 mile radius of the Property. The Route 66 Museum is located just across from the Super 8 McLean/Bloomington SW. We offer a quiet country atmosphere yet are convenient to all of the many attractions of the city. 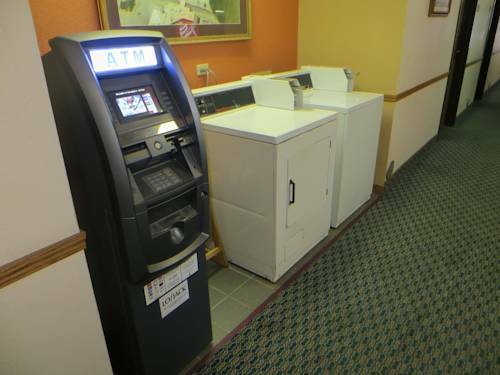 We provide free high speed wireless internet, complimentary Super Start breakfast and guest laundry facilities. Enjoy our heated indoor pool. Our rooms feature micro-fridges, 27 inch TVs, hair dryers and AM/FM alarm clock radios. Try one of our Jacuzzi Suites for a relaxing evening away from home.